In the fast-paced world of software development, it is important to be ahead of the curve. With new languages and frameworks being developed constantly, it can seem impossible to know what skills you should be honing to further your career and move up the ladder. To help give you a leg up on how to further your career, here are three trends that employers are looking for in 2018. When it comes to hiring a developer, you’d think that the number one thing an employer would be looking for is someone with proficiency in the programming language used by the business. According to Hacker Rank’s 2018 Developer Skills Report that isn’t the case. The survey of more than 39,000 developers showed that the most desired skill trait for software developers is problem solving. Almost unanimously (94.9%), employers said that problem solving was a priority for their developers, followed by ‘programming language proficiency’ (56.6%) and ‘debugging’ (47.1%). This shows that employers value the ways of thinking over the core technical skills that developers will need in their organisation. 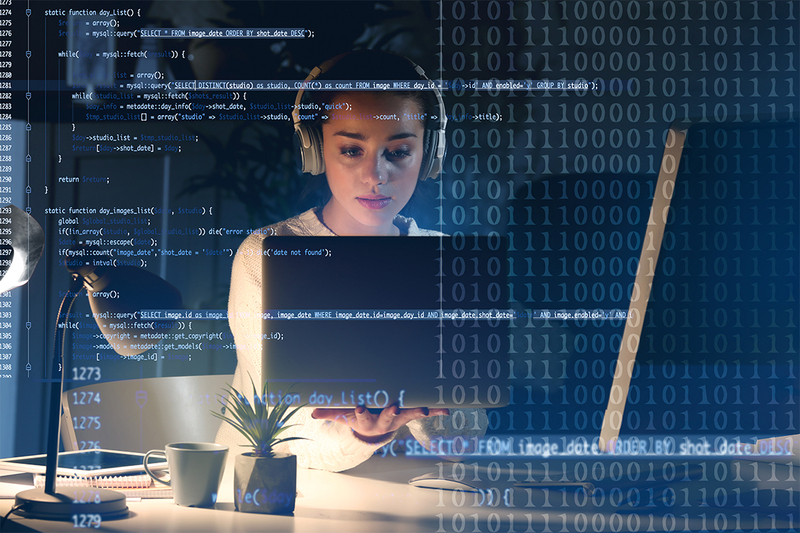 Developers looking for new roles might consider highlighting how the work they have done has helped solve tangible business problems to make themselves a more attractive proposition to employers. Of course, language preferences vary per business and sector, so it is worthwhile reviewing what languages are most sought-after in your desired sector. A lot of businesses I am speaking to are looking for experienced full stack developers with knowledge of C and C#. Of the frameworks out there, the most desired by employers are AngularJS (38%), Node.js (36.4%) and React (33.2%) according to Hacker Rank. Given the huge demand from employers for developers who are prolific with these frameworks, there aren’t enough developers with the right skills to fill their roles. The biggest skills gap, according to the 39,000 surveyed, is in React as only 19% said they have knowledge of the framework, whilst a third of employers are on the lookout for React developers. If you want to grow your development career, read more career advice here. If you’re looking for your next development role, see our latest opportunities. Chris McCall has over 13 years’ experience in recruiting high quality contract and permanent professionals across all Microsoft development technologies.